When dining the Rustic Inn’s menu has a large variety of items, sandwiches, burgers, wraps, pizza, soup, chili and appetizers (soup and chili homemade). 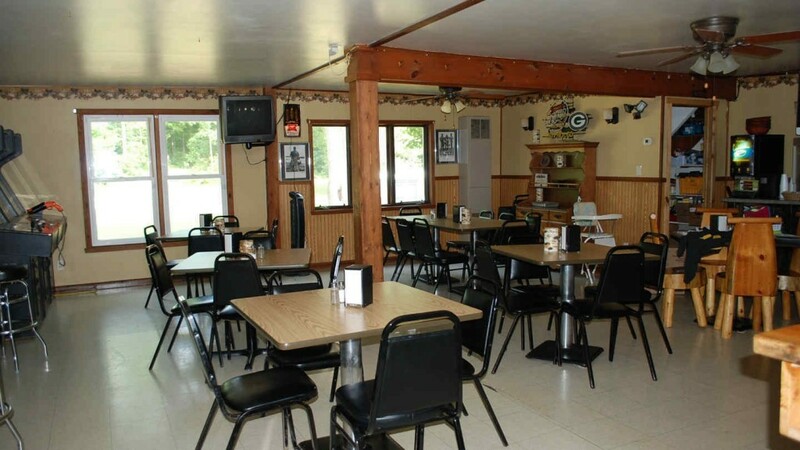 Daily specials include Mexican Monday, Friday Fish Fry a Wisconsin dining favorite, as well as Broasted Chicken dinners on Saturday and Sunday. The dining room accommodates most groups and outside is a pavilion for special events. The kitchen is open six days a week at 11:00 am. (closed on Tuesday)New Menu Item! Starting November 21, 2015 we will be serving Baby Back Ribs on Saturdays, Sundays and Wednesdays. Stop in and try them.